A richly varied package with excursions, bike tours and a kids program. During the summer season, our guests have the opportunity to participate in the Kron Akiv program in cooperation with Kronplatz Outdoor Center. 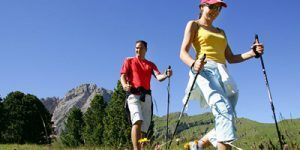 From Monday to Friday, you can choose from a range of activities, hikes through our wonderful landscape, climbing tours, downhill courses and lots more. Participation in the program is free for all guests who book at least one week by us. You find all additional fees in the program. Guided winter excursions in the Dolomites with skis and snowshoes. During the winter season, our guests have the opportunity to participate in the Kron Akiv program in cooperation with Kronplatz Outdoor Center. From Monday to Friday, you can choose from a range of activities, from pleasant snowshoe excursions to ski tours in the Dolomites. Participation in the program is free for all guests who book at least one week by us. You find all additional fees in the program. Stay for 4 or more nights and get one night free! – Por example, for 4 days half board you pay 228,00 Euro per person in comfort room and 210,00 Euro in economy room. Fresh powder snow and superb skiing at bargain prices! 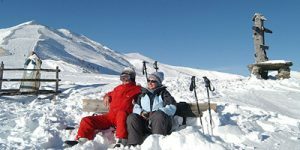 If you book a skiing holiday of 4 or more days, you will get one day free, and if you stay for 8 or more days, you will get two days free. The offer can also be booked with eight days for the price of six (accommodation and ski passes) including special offers on skiing equipment rental and skiing classes. 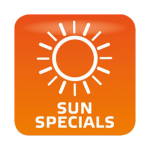 Take advantage of our special spring offer! Stay 7 days and pay for 6! 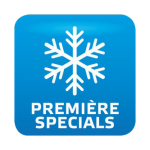 You are entitled to a 20% discount on all skiing equipment rental at any participating ski rental point and a 15% discount at any participating ski school.